On Saturday, 28 November at 18:00 everyone was invited to attend lecture “When Time is not Space: The social and linguistic construction of time intervals and temporal event relations in an Amazonian culture” by Dr. Chris Sinha, Professor of Psychology of Language, University of Portsmouth, UK. The lecture was organized in collaboration with the British Council and the Center for the Cognitive Sciences and Semantics, University of Latvia. Prof. Sinha’s central research interest is the relations between language, cognition and culture, and the main aim of his research is to integrate cognitive linguistic with semiotic and socio-cultural approaches to language and communication. Prof. Sinha together with his colleagues Vera da Silva Sinha, Jörg Zinken and Wany Sampaio have researched the linguistic conceptualization of space and time in the Amondawa language. The recruitment of spatial lexicon and grammar to linguistically conceptualize time intervals and temporal relations is widespread in the world’s languages. It has therefore been proposed that there is a natural, universal cognitive domain of time, whose linguistic organization is (also universally) derived from the lexicon and grammar of space. The research of the linguistic conceptualization of space and time in the Amondawa language carried out by prof. Sinha and his colleagues Vera da Silva Sinha, Wany Sampaio and Jörg Zinken challenged this hypothesis. 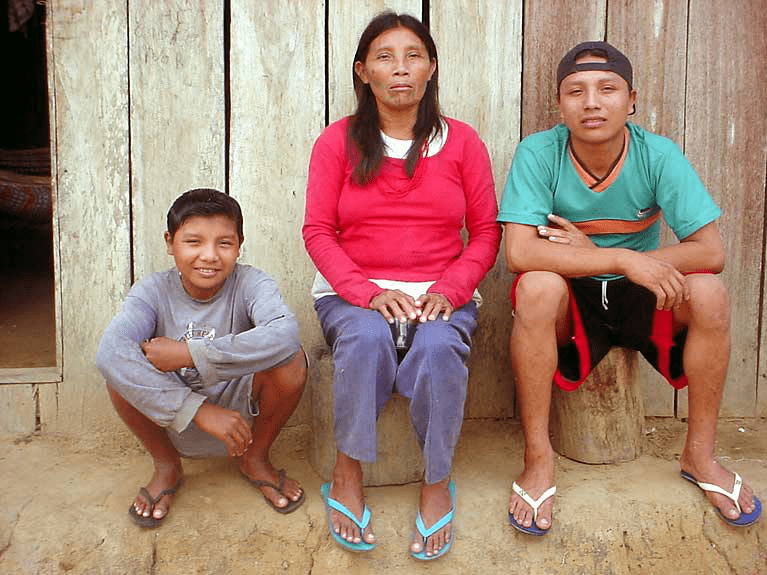 Amondawa is a Tupi Kawahib language with a complex, distributed spatial relational lexicon, but like other Tupi languages, Amondawa lacks verbal tense. It does not employ cardinal chronologies such as ages of individuals, or ordinal chronologies such as yearly or monthly calendars. An abstract term for time does not exist in Amondawa. The word kuara (‘sun’) is preferentially used to denote time intervals in general, since it is the movement of the sun which governs the passage of both the time of day and the seasons. The system is based not on countable units (the Amondawa number system has only two numerals with a maximum combinatorial value of four), but on social activity, kinship and ecological regularity. The system therefore does not permit conventional “time-reckoning”. Amondawa does not recruit its extensive inventory of terms and constructions for location to linguistically conceptualize inter-event relations. As an alternative to the traditional hypothesis, Prof. Sinha and his colleagues propose that socio-cultural aspects are of far greater importance then previously believed. Prof. Chris Sinha gained doctorate at the University of Utrecht. Before moving to Portsmouth, he taught in departments of Psychology, and Language and Communication a.o., in Britain, the Netherlands, Denmark and India. He has published widely in many disciplines, including anthropology, linguistics, education, evolutionary biology, connection science, as well as developmental and cultural psychology. He was First President (2005-2007) of the UK Cognitive Linguistics Association. Prof. Prof. Sinha is one of the leading language psychologists and cognitive linguists in the world. His research has a profound effect on psychology, linguistics, communication sciences and anthropology. It also is of philosophical value. Prof. Sinha was taking part in the conference “Dzīve, dzīvība, evolūcija” at the University of Latvia which is part of the programme “Darwin Now” organized by the British Council.